Texas Education Commissioner Mike Morath is not changing state standardized test dates for students affected by Hurricane Harvey, but he is waiving some requirements for certain students, his agency said Thursday. 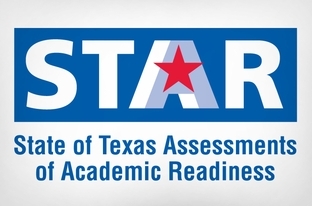 Students across the state will be still required to take the State of Texas Assessments of Academic Readiness, or STAAR, as scheduled in March and May. But after pressure from Gov. Greg Abbott, Morath sent a letter to Harvey-affected school districts today saying students who fail required standardized state tests in fifth and eighth grade twice can graduate, as long as their local districts officials agree they are ready. Normally, fifth- and eighth-grade students, who must pass the STAAR reading and math tests to graduate, must take the tests up to three times if they fail. If a student doesn’t pass on the third try, he or she cannot graduate unless a committee of his or her educators and parents unanimously agrees to promote the student. With Morath’s announcement, Harvey-affected districts will have more leeway to decide whether to require students to take the test a third time and to decide locally whether students who fail the tests can graduate. Rescheduling the STAAR tests was never really an option, as it would have been disruptive to many school districts. Indeed, a large majority of superintendents were opposed to rescheduling the STAAR. This at least gives some kids who have been traumatized in one way or another by Harvey a chance to stay on track, with their classmates. Morath may still make further adjustments to the accountability system later, which if it does happen will probably be after the tests are taken and we get some idea of how the scores were affected. At least the TEA is being open to suggestion. Schools in poor neighborhoods overwhelmingly received the worst grades under Texas’ new rating system — but even typically high-performing districts got C’s and D’s, according to scores that will be released Friday. Education Commissioner Mike Morath — who cautions that the new system is a work in progress — has said grades will give families a better understanding of how their schools are doing while crediting schools for the progress they are making. Dallas ISD got a D in student performance and B’s in three other categories. See here for a bit of background. The A-F grading system was part of a larger bill authored by outgoing Education Chair Rep. Jimmie Don Aycock. It generated controversy at the time, but as is sometimes the case when the end of the session is approaching and things need to get done, it was passed in spite of the concerns about that part of the bill. The story above is from the Dallas Morning News, but similar stories are coming in from all over the state. Various Central Texas districts, including Austin, Leander, Hays, Georgetown, Bastrop, Manor, Elgin, San Marcos, Hutto, Dripping Springs and Elgin received unacceptable grades of Ds and Fs in certain categories, according to a report sent to the Texas Legislature last week that was obtained by the American-Statesman. Even some nationally ranked campuses, including Round Rock’s Westwood High School and Eanes’ Westlake High, didn’t muster straight As under the new system, and schools that received top marks from the state just a few months ago received unacceptable scores. The grades are meant to give districts and the public a glimpse of how the new system will work when it is finalized next year, and are not official or punitive. The accountability ratings doled out in August still stand. Blackshear Elementary, for example, is a national Blue Ribbon school, and has been recognized by the Texas Education Agency for the work it has done with a high concentration of students from low-income families. Yet it received an F under the postsecondary readiness category because of absenteeism, he said. And of course, from here in Houston. Houston ISD, Texas’ largest school system, earned B’s for closing achievement gaps and learning gains on the State of Texas Assessment of Academic Readiness. It earned a C for student achievement on the STAAR, and its lowest mark – a D – came in postsecondary readiness, a stumbling block for many Texas schools. Educators argue that this new system relies too much on standardized tests and fails to take into account the complexities of individual schools and districts, like whether their student body is predominantly poor or non-native English speakers. “The real education experts are pretty united on this one. We see it doing more harm than good,” said Clay Robison, a spokesman for the Texas State Teachers Association, which represents 68,000 teachers and support staff. Katy ISD Superintendent Lance Hindt lambasted the preliminary grades on Friday as an attack on public schools for political gain. The final system that will be used to calculate letter grades in 2018 is expected to include five domains. Friday’s tentative grades included just four categories, similar to those in the state’s current accountability system. At least two Houston-area schools, including HISD’s Sterling High and Spring Branch ISD’s Sherwood Elementary, scored straight F’s in Friday’s preliminary grades despite having “met standard” in their official accountability rankings. At least 78 Houston-area schools, including charters, earned D’s and F’s, even though they “met standard” in the current system. Of those, 12 schools and five districts got straight F’s on the preliminary letter grades but “met standard” in the current accountability system. The two systems are not meant to be compared, said Lauren Callahan, a TEA spokeswoman. Still, the mismatched results baffled leaders at schools that earned F’s but still “met standard,” as was the case at Sherwood. Rep. Mary Gonzalez has filed a bill to rescind the A-F grading system. I don’t think that will pass, but given the massive problems with the STAAR test, I do think some action will be taken, with a delay in implementation being the most likely possibility. As always, you should contact your legislators to let them know what you think about this. A statement from the TEA is here, and the Trib has more. A backlash against this year’s STAAR exams escalated Monday when a group of parents sued the state in an attempt to keep schools from using 2016 test scores to rate students — including deciding whether students should advance to the next grade or attend summer school. The law was set to take effect during the 2015-16 school year, but the education agency — which did not immediately respond to a request for comment for this article — has taken a phased-in compliance approach. Fourth- and seventh-grade writing tests administered this spring were revamped to comply with the law, but the rest of the exams were not. “Despite knowing that the assessments did not comply with statute, and despite a lead time of over nine months to comply, the TEA failed and refused to develop assessments that comply with the statute,” according to Monday’s lawsuit, filed on behalf of four parents from Houston, Wimberley, Austin and Orangefield, who are members of a grassroots group called The Committee to Stop STAAR. I don’t know enough about this to have a comment on it, but as a parent of two kids who both took STAAR exams this year, it is of interest to me. There were definitely some screwups related to the administration of the STAAR test this year, and it would not have been unreasonable for the TEA to declare this year a wash. Whatever happens in court, I feel confident that the Lege will do further tweaks and revisions to the standardized test system, and that a significant number of people will not be happy about whatever they do. The Observer and the Press have more. Out of all the cities in Texas, this would seemingly have been the one where schools knew how to help Spanish-speaking students learn. El Paso is progressive and welcoming, and is more than 80 percent Latino. Its close ties with Ciudad Juarez, just across the border, means that the city embraces its Mexican roots and the people who have crossed the border for a better life. But a recent cheating scandal revealed that not even El Paso could successfully figure out how to best educate English-language learners. In an effort to improve state test scores at Bowie High School in the 60,000-student El Paso Independent School District, administrators told some low-performing—mostly immigrant students—to drop out of school. And for years, administrators contorted their student rolls, skipping students from 9th to 11th grade so they wouldn’t have to take the state tests in 10th grade and bring down the school’s scores. Others, they chose not to educate at all: Many Spanish-speaking El Paso students at Bowie High School and others in the district were simply “disappeared” out of school rosters, their transcripts changed so they could be shown to have graduated, without ever having finished high school. After the El Paso Times revealed the depth of the cheating scandal in 2012, the superintendent of the El Paso Independent School district went to jail, and the border city vowed to do better for its low-income, Spanish-speaking students. Part of the problem is resources: Texas cut $5.4 billion from its public-schools budget during the recession, and a number of lawsuits allege that the state’s method of allocating revenue hurts lower-income districts in particular, which are often the schools with the most English-language learners. Latino rights advocates have been battling the state since 1970, arguing that it discriminates against minority students by failing to fund programs for English-language learners. An offshoot of that case, filed by the Mexican American Legal Defense Fund in 2014, accuses the Texas Education Agency of failing to effectively monitor, implement, and enforce programs for English-language learners. There are scattered programs through the state that use the dual-language method, which teaches children in both languages, but they’re not the norm, he said. Some districts just have English-as-a-second-language courses, others separate Spanish and English-speaking students for much of the day. Research may show that English-language learners do best when they are taught in two languages, but implementing bilingual education programs can be tricky. School districts in Texas, and even those in El Paso, can’t seem to decide the best method for educating English-language learners. El Paso might be just across the border, after all, but it is in America, and teaching American kids in Spanish, some administrators worry, may not prepare them for the real world. Read the whole thing. It would have been nice to know more about what the best practices are for English-language learners. The story notes that El Paso ISD and neighboring Ysleta ISD take two different approaches, without giving any clue as to which one produces better results. Beyond that, the two main takeaways for me are that the more you depend on a particular method of evaluation, the more incentive there is for those that struggle with it to game the system, and school districts that have greater challenges to overcome need greater resources to enable them to overcome those challenges. You’d think that last one would be pretty obvious, but it’s not to our Legislature. One hopes that the Supreme Court is able to see it. Not so good. Needs to be better. Houston ISD high school students continue to struggle with reading and writing, passing state exams at significantly lower rates than the state average, new results show. The district’s scores in algebra, biology and U.S. history also dipped a couple of points from last year, at a slightly sharper rate than did others across Texas. HISD’s high school results are similar to the previously released elementary and middle school scores, which mostly declined or remained flat. Superintendent Terry Grier, in a statement issued Friday, applauded a more promising measure: an increase in the percentage of students who answered more questions correctly this year than last on the high school exams – meeting the tougher bar that the state plans to enforce in coming years. On the English I [STAAR] test, which covers reading and writing, HISD’s passing rate was 58 percent this year, compared with the state’s 71 percent. HISD had a three-point drop from 2014, while students statewide declined by one point. HISD’s passing rate on the algebra test, which some eighth-graders take, was 79 percent, down from 82 percent last year. The state rate dropped one point to 85 percent. The passing rates include only students taking the exams for the first time in spring 2015 and spring 2014. Students who failed can retake the tests. HISD scored between one and five points lower than Dallas ISD in algebra, biology and U.S. history this year. The districts’ passing rates were the same for English I, and HISD fared better by one point in English II. Dallas ISD is the state’s second-largest district behind HISD. Both serve significant concentrations of low-income students and those still learning English, who traditionally lag academically. Across Texas, scores have been relatively flat since the 2012 rollout of the STAAR, which was designed to be tougher than the old testing regime. It’s a tough problem, and it won’t get any easier with the forthcoming toughening of standards in the STAAR test. I’m sure this subject will be discussed at length in Terry Grier’s final contract year. Really, though, we need to deal with this at the state level. We can toughen standards, we can change the grading system for schools and school districts, we can come up with all kinds of plans for how to deal with failing schools and school districts, but when are we going to give them the tools and resources they need to not fail in the first place? The HISD Superintendent is in the last year of his contract, and it’s not clear whether it will get extended or not. Kashmere has made limited strides as one of the schools in Superintendent Terry Grier’s signature reform effort, called Apollo. Students passed their first AP exams and the graduation rate rose, yet the school still ranks among the district’s worst academically, and it will have its fourth principal in six years next fall. The Apollo program exemplifies much of Grier’s six-year tenure leading the Houston Independent School District. He launched the project quickly, ousted staff and demanded a “no excuses” attitude, drawing praise and criticism from the community and the school board. That hard-driving style and his relentless agitation for change have made Grier a polarizing figure to some as he fights to raise student achievement in the nation’s seventh-largest school system. HISD has performed well compared to big-city peers, winning the prestigious Broad Prize for Urban Education in 2013. Dropout rates also have fallen under Grier, and voters approved the largest school building program in Texas history. Yet academic progress, particularly in reading, is stagnant. Test scores released last week showed HISD mostly lost ground with the Texas average while the gap between Anglo students and their black and Hispanic classmates widened. The Apollo experiment likewise yielded mixed results, with bigger gains in math than in reading. “Having said that, we still need to be getting better, faster,” he said. But the upcoming school year could be Grier’s last. The board has not extended his contract beyond June 30, 2016. For his part, Grier, 65, said his future in Houston, a city he and his wife have come to love, depends largely on his relationship with the board at the time. Four of nine trustees are up for re-election in November. There’s a lot more to the story, which covers things Grier has done and the progress or lack of same that HISD has made in various areas. It’s worth your time to read. What it doesn’t cover that I think would have been worth including is what the potential changes on the Board of Trustees were and how they might affect Grier’s status. As noted, four Trustees are up for re-election: Rhonda Skillern-Jones, Manuel Rodriguez, Paula Harris, and Juliet Stipeche. Skillern-Jones and Stipeche, both of whom are often critical of Grier, seem likely to get by with at most token opposition. Rodriguez and Harris are both Grier allies, and both are rumored to not be running for re-election. I am not aware of a challenger for Rodriguez’s seat yet – his 2011 opponent, Ramiro Fonseca, who lost in a very close race, has not made any statement about this year that I have heard as yet – while former City Council member Jolanda Jones is running for Harris’ seat. I’m going to guess she will be more of a critic than Harris has been. Losing these two Board members would make things a lot less comfortable for Grier. Kathy Miller of the Texas Freedom Network sounded the alarm in the Sunday op-eds. The last time Texas adopted social studies textbooks – in 2002 – political activists and members of the state education board themselves demanded scores of changes to content they didn’t like. Publishers resisted some, such as demands to downplay slavery as the central cause of the Civil War. But they buckled on others, such as rewriting passages in geography textbooks so students learn that landscape features and fossil fuels formed “in the distant past” instead of “millions of years ago.” The latter conflicted with the beliefs of biblical creationists that Earth is just a few thousand years old. Despite these flawed standards, you might hope that the state’s official review and adoption process would help ensure that the new textbooks are accurate. Sadly, it’s hard to imagine how that could happen. See here and here for some background. On Wednesday, as promised in that op-ed, TFN got all academic about it. Teachers, activists and officials are girding for a renewed battle over Texas school textbooks, as the State Board of Education is set to discuss new social studies instructional materials for the first time in a dozen years. The first volley came from the Texas Freedom Network, a left-leaning religious liberties nonprofit group that advocates for the separation of church and state. With the help of three academics and seven doctoral students, the TFN undertook a comprehensive review of 43 of the proposed history, geography and government textbooks available for public perusal. An index page of their reports is here, the press release is here, and the executive summary, which is quite detailed, is here. You really have to admire TFN for doing this kind of unglamorous but vitally important work, which they do consistently at a high level. Trail Blazers, Newsdesk, the Trib, and K-12 Zone have more. I have to say, I’m a bit uncomfortable with this. Earlier this year, seven teachers sued the Houston Independent School District in federal court over their evaluation system. That system uses a statistical formula and student test scores to grade teachers. At its meeting this week, the Houston school district decided to hire a high-profile law firm to fight that case. The board will pay those legal fees with a grant from Houston billionaire John Arnold, who helped created that same system to grade teachers. With a 6-2 vote, the trustees approved hiring the law firm Gibson, Dunn and Crutcher, LLP, to defend Houston’s teacher evaluation system in federal court. “I think there’s the potential for this to be a high-profile case and I think it’s important for the district to have the best representation possible in this and any situation that we confront through the legal system,” said HISD Trustee Anna Eastman. See here for the background. I have no issue with HISD being represented by top-notch counsel, and I can certainly see the merit in having what is likely to be an expensive legal bill covered by someone other than the taxpayers. But this raises an important and uncomfortable question: Whose interests are being represented by Gibson, Dunn and Crutcher – HISD’s, or John Arnold’s? If the HISD Board of Trustees finds itself in disagreement with John Arnold over the legal strategy employed by Gibson, Dunn and Crutcher, who will the lawyers listen to? If the Board decides they want to negotiate a settlement, but John Arnold insists on pushing through to a verdict, whose opinion carries the day? What if Arnold threatens to cut off the spigot and leave HISD with the remaining bills if they don’t do things his way? Maybe I’m being overly dramatic here, but my point is that lawyers represent clients, and this arrangement has the potential to complicate that relationship. Perhaps the Board has thought all this through and gotten an agreement in writing from all relevant parties about who gets to approve the decisions that will need to be made during this process. If they haven’t however, then all I can say is that billionaires tend to think they’re in charge, especially when it’s their money being spent. I just hope everyone went into this with their eyes open. These particular outside lawyers just won a groundbreaking case in California. There a judge ruled that California’s teacher tenure, firing and discipline procedures are unconstitutional. That decision was controversial, to say the least, and there’s a good possibility it may not survive appeal. That doesn’t really have anything to do with the main point of this story, I just wanted to mention it. Texas has a new teacher evaluation system on the way. It won’t come without a fight. Texas’ more than 380,000 public school teachers are girding for a tumultuous few years as a new method of grading their performance is expected to generate heated legislative debates and perhaps legal challenges. Already, the Houston Independent School District is facing a lawsuit challenging the effectiveness and accuracy of evaluating teachers based in part on their students’ performance. Legislators have scheduled a hearing on the issue this week as the state prepares to test a similar evaluation model. For the first time in 17 years, the Texas Education Agency has proposed a new statewide teacher evaluation method, dubbed the Texas Teacher Evaluation and Support System, or T-TESS. According to details released last week, 70 percent of teacher grades under T-TESS will be based on classroom observations, 20 percent on “student growth” data including test scores and 10 percent on self-evaluation. After a pilot beginning this fall, the finalized method will be rolled out in 2015 and will mandate every school district base 20 percent of its teacher grading system on student performance, which for some teachers includes “value-added data” based on state standardized test scores. Previous evaluation methods have been voluntary and developed independently of the federal government. T-TESS, on the other hand, was developed to enable the state to opt out of certain student performance benchmarks mandated under the No Child Left Behind Act of 2001. Federal approval of T-TESS is expected. The T-TESS negotiations between TEA and the federal government have been cooperative, but that is likely to change. Teacher unions are raising the possibility of an HISD-like lawsuit, and lawmakers are preparing for another year of battles on the issue come January. “Nothing is off the table,” said Linda Bridges, president of the Texas chapter of the American Federation of Teachers. Her group’s Houston affiliate is a plaintiff in the Houston lawsuit, and is one of many questioning the legality of the new method. As noted, a lawsuit was filed over HISD’s teacher evaluation system, called EVAAS. That has to do with the way EVAAS does its evaluations, while the talk here is more over whether the TEA has the authority to implement something like T-TESS. It’s still more than a year before T-TESS would be rolled out, and there’s some suggestion in the story that this timeline is too optimistic. The later it actually goes live, the more likely there will be a court ruling in the suit against EVAAS, which could have an effect on things. There’s also likely to be some political backlash in 2016 one way or another, as education reform is an issue on which there’s a great deal of disagreement, in both parties. Keep an eye on this, it’s not going away. A new front is opened in the war on standardized testing. Seven HISD teachers and their union are suing the school district to try to end job evaluations tied to students’ test scores, arguing the method is arbitrary, unfair and in violation of their due-process rights. The lawsuit, filed in federal court late Wednesday, could have far-reaching implications as more districts and states use student test data to grade teachers. The Houston case focuses on the district’s use of a specific, privately developed statistical model that analzes test data to try to gauge a teacher’s effectiveness. In some cases, according to the lawsuit, teachers see their scores fluctuate from year to year, while other results are based on tests not aligned to the state curriculum. The lawsuit also argues that all teachers aren’t treated equally, and they can’t adequately challenge their ratings because the formula is too opaque. For example, the lawsuit says, Andy Dewey, a social studies teacher at Carnegie Vanguard High School, received such high scores in 2012 that he qualified for the district’s top performance bonus; his results the next year dropped significantly. “Mr. Dewey went from being deemed one of the highest performing teachers in HISD to one making ‘no detectable difference’ for his students,” the lawsuit said. Dewey has told the Houston Chronicle previously that he does not understand why his scores vary when he and his fellow social studies teachers — they are rated as a team — don’t change their instruction significantly from year to year. The system at the center of the lawsuit generally is called “value added.” It uses complex statistics to estimate how well students should perform on standardized tests based on their own past performance. Teachers whose students score better than expected get the best ratings, whether or not the students passed the test. To do the analysis, HISD contracts with a North Carolina company, whose model is called the Education Value-Added Assessment System, or EVAAS. You can see a copy of the lawsuit here, the press release from the AFT is here, and some background is here. The Texas AFT has an illustration of the EVAAS formula here. I am not opposed in theory to the idea of value-added evaluations. This is basically what the sabermetric revolution in sports has been all about, coming up with ways to measure performance and determine the value of players in various sports. In sports, however, the relationship between the various metrics – runs created, points per possession, DVOA, etc – has been demonstrably linked to the teams’s actual on-field performance. They also show what sort of things a given player needs to do in order to be valuable. Finally, there are multiple systems that have been created to measure value, and they have risen or fallen based on their usefulness and accuracy. I don’t know how much any of this is true for EVAAS. I do know that teachers should have a clear understanding of what is expected of them, and they should have some input on their evaluation. I’ll be very interested to see how this goes. The Trib and K-12 Zone have more. Lisa Falkenberg boils it down. While there’s no doubt standardized tests are an important part of student assessment, somewhere along the way, they became too important. We’ve tethered them to everything from student promotion to teacher pay to school reputation. And it’s not just the test days that take away from meaningful learning but the months-long test prep. Opting out is one way of saying enough’s enough. Principals and teachers aren’t as free to send that message to lawmakers. They’re bound to follow the law. The power rests with parents. But parents are only empowered if they know their rights and band together. Falkenberg’s column is about two sets of parents, in Waco and in Houston, who try to get their kids out of their STAAR tests. I can’t add anything to that first paragraph above; it’s exactly how I feel. There’s also the stress to the students, which we have had to deal with this year. All tests are stressful, of course, but it’s the pervasiveness and the emphasis on the STAAR that takes it up a notch. It’s the second paragraph that I want to focus on, because it really is the case that we the parents have the power to affect this. But it’s not just us parents that have this power, and it’s not because we’re parents. The power we have is at the ballot box. If you don’t like the testing regime we have now, don’t support candidates or incumbents that do. In Texas, that means knowing how your legislators stand, and vote, on testing matters. Falkenberg writes about Kyle and Jennifer Massey, parents from Waco who fought a battle with Waco ISD to allow their son to not take the STAAR this year. Kyle Massey runs a blog and has written several entries about his testing beliefs and their fight to opt out their son. Well, the city of Waco is represented in Austin by Sen. Brian Birdwell and Reps. Kyle Kacal and Doc Anderson. I searched Massey’s blog but didn’t find any of those names mentioned on it. I don’t know what these legislators’ records are on standardized testing matters, but they’re the ones the Masseys should have their beef with. Waco ISD is just doing what the Legislature has directed them to do. If you want them to take a different direction, it’s the folks in Austin you need to convince, or defeat. I bring this up in part because it’s important to keep in mind which office and which officeholders are responsible for what, and partly because doing so can be hard work. I was chatting the other day with a friend who wasn’t previously much engaged with politics and elections. She asked me if there was a website that kept track of which candidates supported or opposed which issues. I said no, that kind of information tends to be widely dispersed. You can check with various interest groups to see who they endorse and for those who keep scorecards like the TLCV how they rate the performance of various incumbents, and you can check out the League of Women Voters candidate guides when they come out. But there may not be a sufficiently organized interest group for the issue you care about, LWV candidate guides don’t come out till just before elections and not every candidate submits responses, and non-incumbents aren’t included on scorecards. You have to track that information down for yourself, via their website or Facebook page or by asking them yourself. It can be a lot of work. But it’s work that needs to be done if you want a government that’s responsive to you and your preferences. One reason why there’s often a disconnect between what people actually want and what gets prioritized is because there’s a disconnect between what people say they want and what they know about the candidates they’re voting for and against. You ultimately have to do the work to know you’re getting what you think you’re getting. Partisan affiliation is a reliable indicator for some things, but not for everything. Standardized testing and curriculum requirements fall into the latter group. Be mad at your school board trustee for this stuff if you want, but they’re just playing the hand they’ve been dealt. The dealers are on the ballot this fall. Do you know where your State Rep and State Senator stand on this issue? The number of officially faltering public schools in Texas almost doubled last year, in part because of higher accountability standards imposed by state education policy. The Texas Education Agency released Thursday a list of 892 schools that fell short of minimum standards and which have been placed on the Public Education Grant list. Students at schools on the list are allowed to transfer to other schools if their parents wish, and the schools accepting them get additional funds to educate them. Districts are required to notify parents of children who attend a school on the list that they can request a transfer, including transfers to another district. However, districts are not required to accept such transfer requests. The Houston Independent School District had 53 schools on the list, nearly triple the number from last year when 18 schools were deemed struggling. District officials could not be reached for comment late Thursday. For a school to be placed on the list, more than 50 percent of its students have failed to meet the minimum threshold on accountability tests in two of the last three years, or it has been rated “academically unacceptable” in 2011 or “improvement required” last year. (No accountability ratings were given in 2012.) Those are the lowest categories in the Texas Assessment of Knowledge and Skills and the State of Texas Assessments of Academic Readiness test that was implemented in 2013. In 2012, the list included 456 schools. Schools can remain on the list for three years, meaning some whose students performed above the minimum performance threshold last year could still be on it. I suppose that’s to be expected, and I certainly hope the schools on that list can work their way off of it this year. You can see the list here. I don’t remember the names of the former North Forest ISD schools, so I don’t know how many of them are present. The schools I did notice included a couple in my neighborhood – Helms Elementary and Hogg Middle – both of which were also on the probation list for magnet schools; there were a few others on both lists as well. I presume this list came out too late in the day to get a reaction from anyone for publication, but I’m sure that HISD’s leadership will focus its attention on that list. As I said, I hope it’s substantially smaller next year. Hundreds of school districts in North Texas and across the state will resume their courtroom battle over funding in January, arguing that new money and reduced testing did little to fix Texas’ school finance system. State and legislative leaders contend changes they approved this year have blunted the districts’ arguments. But the more than 600 districts suing will urge state District Judge John Dietz to reissue his February 2013 ruling that ordered dramatic changes in funding of schools. Dietz found the system fails to provide enough money for schools to educate all their students to meet the state constitution’s requirements. The judge also said funds are being distributed unfairly. Dietz withheld his final ruling pending the Legislature’s action in the regular session that ended in late May. Lawmakers restored much of the funding that was taken away from schools in the state budget crisis of 2011. The bulk of new money helped narrow the wide funding gaps between poor and rich districts. That was a key point of contention in the case. They boosted funding by $3.4 billion, after a $5.4 billion cut in 2011, and sharply reduced the required high-stakes tests in high school. But is that enough to sway Dietz and, ultimately, the Texas Supreme Court? See here, here, here, and here for the background. To sum up, the state will argue that they restored a lot of the funds that were cut, they reduced the amount of tests that needed to be taken, and they prioritized restoring funds to the schools that had the lowest per-student funding rate. Plaintiffs will argue that school districts overall are still underfunded, that most of the tests were cut were ones that weren’t often taken anyway, that large funding disparities still exist, that school districts still have little to no ability to set their own tax rates because of mandated caps, and that very few resources exist for the growing number of non-native English speakers in the public schools. I personally think the plaintiffs have the stronger argument, but we’ll see. The next hearing is January 21. What can we do to improve reading skills in HISD? HISD students continue to struggle with reading while matching or exceeding their peers’ math performance in other big cities, according to national test data released Wednesday. Reading scores for the district’s fourth- and eighth-graders have stagnated for six years. In math, however, the middle-school results have improved over time, and HISD ranks well against others nationwide. The scores come from a battery of exams, typically called the Nation’s Report Card, that allow big urban districts that choose to participate to compare themselves. “We are pleased that we continue to perform at high levels in mathematics and are concerned about the flat-line trending of our literacy rates,” said Dan Gohl, chief academic officer for the Houston Independent School District. Gohl said he plans to present a revised plan for boosting reading skills to the school board in January. Campuses across the district use numerous programs to teach reading, he said, and the quality appears to vary. The differences also may trouble students who transfer schools mid-year. The National Assessment of Educational Progress tests a sample of fourth- and eighth-graders every two years. The latest results are from exams taken in early 2013. The other Texas districts that participate are those in Dallas and Austin. The Houston Press had a cover story the other week about HISD’s reading scores, which look better than they are on the state accountability measures. A lot of big urban school districts have problems with reading scores, though there’s been a good deal of improvement in recent years. Poverty is a big factor – there’s a lot of research out there showing that poor children start out behind their peers even before they get to school – but it’s not the only factor. As our experience with Apollo has shown so far, we seem to have a handle on getting improvements to math scores, but reading is a much tougher nut to crack. We need to figure it out, and the sooner the better. Hair Balls and Washington Monthly have more. The federal government has denied the state’s request to waive No Child Left Behind testing requirements for students in elementary and middle school, the Texas Education Agency announced Monday. If the waiver had been granted, students who excel on state reading and math exams in the third and fifth grades would have been allowed to skip exams in those subjects in the fourth, sixth and seventh grades because of a state law passed this year, House Bill 866, by state Rep. Dan Huberty, R-Humble. All students would be tested on math in the third and fifth grades; on reading in the third, fifth and eighth grades. In a Sept. 6 letter, Assistant Secretary of Education Deborah Delisle told TEA commissioner Michael Williams that the federal education department would not exercise its authory to waive No Child Left Behind provisions that require Texas and other states to test public school students in grades three through eight annually in reading and math and at least once in science in elementary and middle school. See here for the background, here for the TEA press release, and here for the original waiver request. I continue to think this idea has merit and I hope it isn’t the final word, but for now it’s where we are. Texpatriate has more. Here’s the TEA press release about the school accountability ratings for 2013, which came out on Thursday. The Texas Education Agency today released the 2013 state accountability system ratings for more than 1,200 school districts and charters, and more than 8,500 campuses. The ratings reveal that almost 93 percent of school districts and charters across Texas have achieved the rating of Met Standard. Student Achievement – Represents a snapshot of performance across all subjects, on both general and alternative assessments, at an established performance standard. Student Progress – Provides an opportunity for diverse campuses to show improvements made independent of overall achievement levels. Growth is evaluated by subject and student group. Closing Performance Gaps – Emphasizes improving academic achievement of the economically disadvantaged student group and the lowest performing race/ethnicity student groups at each campus or district. Postsecondary Readiness – Includes measures of high school completion, and beginning in 2014, State of Texas Assessments of Academic Readiness (STAAR®) performance at the postsecondary readiness standard. Districts and campuses with students in Grade 9 or above must meet targets on all four indexes. Districts and campuses with students in Grade 8 or lower must meet targets on the first three indexes (excluding Postsecondary Readiness). For eligible campuses that achieve the rating of Met Standard, distinction designations in the following areas have also been assigned: Top 25 Percent Student Progress; Academic Achievement in Reading/English language arts; and Academic Achievement in Mathematics. * Denotes campus received Met Standard rating plus all three possible distinctions under the 2013 state accountability system. To view the 2013 state accountability ratings for districts, charters and campuses, visit the Texas Education Agency web site at http://ritter.tea.state.tx.us/perfreport/account/2013/index.html. That last link will take you to the accountability system overview page, which has all the explanations and summaries of the numbers. All district and individual campus ratings can be found here. HISD schools begin on page 80. As the Chron reported, HISD has some work to do. More than 20 percent of campuses in the Houston Independent School District failed to meet the state’s tougher academic standards this year, according to data released Thursday. Across Texas, 10 percent of schools fell short in the new rating system, which for the first time holds them accountable for results on the state’s more challenging standardized exams that launched last year. Most districts in the Houston region fared well. Every campus in Cypress-Fairbanks, the second-largest local district, met the standards. In Fort Bend ISD, which ranks next in size, one school fell short. Aldine ISD struggled, with 27 percent of its schools missing the mark. In HISD, the largest district in Texas, 58 of the 268 rated campuses – or 21.6 percent – received the “improvement required” label. Unlike last year, HISD fared worse than the Dallas school district, which has similar demographics and ranks second in size. About 15 percent of the Dallas campuses missed the standards. Superintendent Terry Grier said he was pleased that most schools did well on a measure that looks at test scores across all subjects and grade levels. Half of the 20 schools in Grier’s signature reform program, Apollo, earned the “met standard” rating. The multimillion-dollar effort, which started three years ago, includes specially hired tutors and increased class time. All of the schools in North Forest ISD missed the standards, except for one run by a charter school. That sounds a little better than “21.6 percent of HISD campuses failed to meet the standard”. Not meeting any one of the four standards gets you the “improvement required” label. What that suggests is that most of the HISD schools that were classified as “improvement required” met at least one of the three or four indexes. A look through the HISD schools on the master list confirms this – only Wheatley High School and Hartsfield Elementary School struck out completely. That may make bringing them up to standard a little easier. On the other hand, four of the eight non-charter North Forest schools (see page 126) rated Needs Improvement in each index. HISD definitely has its work cut out for it there. Everyone is still figuring out what the new system means, and it will get tougher over time, but HISD has budgeted money to improve the schools that failed to satisfy one or more index. We’ll see how much progress they make next year. It could happen, but don’t expect your high-scoring kid to spend less time taking tests going forward. A plan to reduce testing for higher-performing elementary and middle school students was one of the feel-good bills of the 2013 legislative session. But several experts believe it will never see the light of day in Texas schools. The measure was passed with much fanfare, as parent groups and school districts urged lawmakers to scale back high-stakes testing across the board. Legislators responded by sharply reducing the number of tests high school students must pass to graduate, from 15 to five exams. That measure will take effect. But a follow-up bill, to exempt high achievers in lower grades from math and reading tests in grades four, six and seven, needs a sign-off from the federal government. That’s unlikely, based on the federal agency’s record in enforcing the No Child Left Behind Act. The law requires annual testing in reading and writing of all public school students in grades three through eight. But no state has been able to get that requirement eased, even as dozens have gotten waivers from other parts of the law since former President George W. Bush signed it in 2001. “I have not seen a waiver granted on that particular requirement,” said Elaine Quisenberry, a spokeswoman for the education department, referring to the testing mandate. Diane Rentner, deputy director of the Center on Education Policy, a Washington, D.C.-based research group, agreed. In addition to the fact that no state has been exempted from the testing requirement, Texas is also handicapped by its record of resistance to the Education Department’s initiatives under Duncan. And the law could have a major unintended consequence. If high-performing students could skip the STAAR in three grades, some fear their schools’ state and federal annual performance ratings could suffer. See here for the background. Amused as I am by the irony of it all, this is one place where I’d support pushing back against the federal requirement. Exempting the students who are near-certainties to pass makes sense, and would allow schools to focus more time and effort on the students that need the most help. That needs to be a debate in Washington, but there’s no reason it can’t start someplace else. Too bad Texas doesn’t have much credibility on that score. We’ll see how the feds respond and we’ll go from there. It’s a follow up for a bill passed during the regular legislative session. In a letter sent [last] week to Education Secretary Arne Duncan, Education Commissioner Michael Williams is seeking clarification on whether the federal agency has the authority to grant a waiver on the No Child Left Behind Act, formally called the Elementary and Secondary Education Act. The waiver request would allow the state to comply with House Bill 866, which would allow high-performing elementary and middle school students to skip reading and math tests if they had aced them in previous years. HB 866 won’t take effect this year and the letter is not an official request for a waiver, agency officials said. See here, here, and here for the background. I figure this is likely to be a formality, but we’ll see how it plays out. State district court Judge John Dietz likened the state’s school finance case to the soap opera As The World Turns when he opened Wednesday’s hearing on whether to reconsider evidence in the trial that concluded in February. He drew the comparison not because of the trial’s drama but because of its longevity. “There were 13,858 episodes of As The World Turns and we are getting pretty close,” Dietz said. After hearing brief arguments from the state and the six parties in the case, the judge announced that a new six-week trial would begin on Jan. 6 in the lawsuit that arose last summer after lawmakers cut roughly $5.4 billion from state public education funding in 2011 while the state simultaneously implemented a rigorous new testing and accountability system. “The passage of the wealth of bills during this 83rd Legislature has created a situation where in the interests of justice we need to assay and concentrate as to whether that legislation changed the circumstances [we examined] during the 45-day trial,” Dietz said. The two largest groups of school districts represented in the case, along with the state, were in favor of reopening evidence in the case to update the record after a legislative session in which the Legislature restored about $3.4 billion to public education funding. Changes to high school testing and graduation requirements, as well as a bill expanding the state’s charter school system, also passed. “It’s not in anyone’s interest to allow it to go to [Texas] Supreme Court. It’d be highly likely we’d be back in this court in six months,” said attorney Mark Trachtenberg, who represents some of the districts in the case. He argued that the high court would remand the decision if it did not consider the impact of the 2013 Legislature. All of the parties will be back in court on July 17 to determine what procedures will govern the new trial. See here for the last update. It makes sense to hash everything out again, since there were some significant changes made by the Legislature. I don’t know that what they did actually fixes the problems that Judge Dietz outlined, but to be sure the facts are different now, and there’s not much point in having the Supreme Court rule on a decision that is no longer current. So have at it one more time, y’all. There had been some buzz about a possible veto, but in the end this was to be expected. When Gov. Rick Perry signed House Bill 5 on Monday, he ended weeks of speculation that he might veto the high-profile education legislation because of concerns that it would weaken high school graduation standards. The bill, by House Public Education Chairman Jimmie Don Aycock, R-Killeen, drops the number of state standardized tests high school students must take to graduate and changes the courses needed to earn a diploma. It passed both chambers unanimously, with many lawmakers hailing the bill as one of the session’s most important, after months of lengthy committee hearings and contentious behind-the-scenes negotiations. 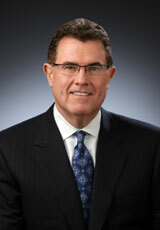 As Perry signed HB 5 with Aycock and Senate Education Chairman Dan Patrick, R-Houston, by his side, the governor said the measure reflected an “appropriate balance between a need for rigorous academics and flexibility” and had “come a long way” to address the concerns of its critics, which include the Texas Association of Business and the Austin Chamber of Commerce. “Texas refuses to dilute our academic standards in any way because they are working,” he said, citing the state’s rising graduation rates and test scores. Actually, STAAR scores were flat, and high schoolers continued to have trouble with the end of course exams. And there were definitely some people who thought that HB5 did dilute standards, including TEA Commissioner Michael Williams and Texas Higher Education Coordinating Board Commissioner Raymund Paredes. Be that as it may, HB5 did do a number of good things, and we’ll just have to see what happens with the graduation requirements. As I’ve said before, I fully expect this matter to be revisited by the Lege again and again. Texas Politics has more. Meanwhile, the scope of the special session has been expanded, though thankfully not for anything bad. Gov. Rick Perry on Monday added transportation funding to the agenda of the special session. In his directive, Perry asked the Legislature to consider the “funding of transportation infrastructure projects” during the 30-day session, which began late last month. Not clear when the Lege will get around to this, since the House stands adjourned till Monday the 17th. Also not clear why Perry violated his previous dictum about waiting till redistricting was done before doing anything else. But that’s Rick Perry for you. Even before Perry added transportation to the call, lawmakers had been filing road funding bills with the hope that he would. For his part, Perry has been advocating for 100-year bonds to finance transportation infrastructure, arguing the state should take advantage of historically low interest rates. But a large contingent of Republicans remains adamantly opposed to TxDOT assuming any more debt. Some lawmakers want to tap the Rainy Day Fund for transportation funds, but conservatives have already objected to using the account for water projects and ending accounting tricks so it’s unclear if that will re-emerge during the special session. Perry himself added to the problem during the regular session when he shot down the idea of even a modest increase in the vehicle registration fee as a way to help fund transportation. Perry also said he’d only add items that had consensus and thus would be easy enough to pass, and it’s not clear that this applies to transportation. But other than that, it’s a great idea. I’ll be happy if the Lege can actually get something done on this, but I’m not counting on it. While a lot of big ticket items were addressed by the Legislature during the regular session, not all of those bills have been signed into law yet. Among them are the big education reform bills, and proponents of fewer standardized tests are urging Rick Perry to sign them. Six organizations representing a statewide coalition of advocates in favor of reducing the emphasis on high-stakes testing sent a joint letter to Gov. Rick Perry Monday morning urging him to sign House Bill 5 — the omnibus bill that would drastically reduce the number of state exams students must take and overhaul curriculum requirements for high school students. “Parents, teachers, education support staff and, most importantly, current ninth and tenth grade students across Texas are confused and unsure of their high school future,” the letter states. Representatives from Texans Advocating for Meaningful Student Assessment and the Texas Association of School Administrators both signed the letter. Many districts have started to plan for summer school, which includes remediation for students that failed the State of Texas Assessment of Academic Readiness, or STAAR, test. Remediation may be unnecessary if students failed a test no longer required under HB 5. Instead of the 15 tests students are currently required to pass, HB 5 requires high school students to pass end-of-course exams in Algebra I, Biology, U.S. History, English I and English II. You can see a copy of the letter here.The Texas PTA also sent out a message asking its members to call Perry’s office in support of signing the bills. I haven’t seen any indication that Perry might veto any of these bills, but the DMN’s William McKenzie is arguing that he should. For several policy reasons, he should veto HB 5, HB 866 and HB 2824. Those are the most important education bills coming to his desk. HB 5 would reduce from 15 to five the number of high school end-of-course exams students must take. The proposal also would make it easier to graduate without the current four years of math, science, social studies and English. HB 866 would allow some students to skip annual testing in reading and math in some grades. HB 2824 would allow some districts to no longer give some of the state’s tests in grades three through eight. Being the politician that he is, my hunch is Perry does not veto HB 5 outright. It is the main anti-testing bill. It has passionate support from suburban parents, some of whom urged him Monday to sign the measure. They also are key voters, and I don’t see him crossing them completely on such a visceral issue. But he could veto HB 5 on narrow grounds, such as requiring legislators to revisit in special session the type of tests HB 5 reduces. He could send it back with guidelines for requiring fewer tests but making sure those few tests include state exams in key subjects. For example, he could request that HB 5 require end-of-course tests in Algebra II and English III. They matter because they are seen as good predictors of a student’s readiness to do college work. He also could send it back with instructions about improving applied math and science courses in high school. HB 5 would allow math and science courses that are aimed at trade jobs. Perry could say let’s make sure Texas has the best type of applied math and science courses in the nation. HB 866 and HB 2824 are different matters. Perry has plenty of room to veto them outright. HB 866 would require the governor to ask Washington for a waiver from testing in reading and math in grades three through eight. Testing in those grades is the backbone of No Child Left Behind. Despite that law’s bad press, the Obama administration has never let up on testing in those subjects in those grades. Why should states let up on testing students in reading and math in elementary and middle school? Don’t most parents want to know whether their kids are advancing in reading and math year over year? Don’t they want to receive each year the kind of detailed information that the state provides parents about their children’s work on STAAR tests? That includes their high-achieving children, whom HB 866 would exempt from some annual reading and math tests in grades three through eight. McKenzie is now joined in his desire to see HB5 vetoed by the Austin Chamber of Commerce. • Reduce graduation testing by at least half. Continue to expect students to demonstrate knowledge at least on par with TAKS to graduate. If the Legislature doesn’t scrap end-of-course testing altogether and return to the TAKS, they should at least choose the six tests which cover the same content: algebra, geometry, biology, chemistry, physics, and English 11/writing. • Continue to place students on an internationally competitive course of study. In House Bill 5, this would be either an endorsement or the distinguished course of study. Continue to ensure parents have a major say in the decision made about their child’s graduation plan. • Ensure each endorsement requires students to learn content in physics and algebra II or statistics (applied or traditional). Manufacturing is built on these skills. • Continue to keep all incentives like college scholarships, top 10 percent automatic admission and university admission aligned to student completion of that competitive course of study. • Ensure innovative courses which teach traditional content in a hands-on way first receive approval from Texas’ Education commissioner or the State Board of Education to ensure that, if the family moves, credits transfer with the child. • Fund the state to train every high school counselor thoroughly on the raft of new options, graduation plans, seals and college eligibility requirements. This approach reduces testing, reduces mandates, increases flexibility, keeps the system simple but doesn’t lower expectations. I blogged about HB866 before, and I disagree with McKenzie on this. I think if there’s one place you can dial back on testing, it’s with the students that have already demonstrated a clear grasp of the material. I have mixed feelings about HB5, and I don’t know anything about HB2824. I don’t know how likely a veto of any of these are, but I do know that Sen. Dan Patrick sponsored HB5 and co-sponsored HB866, and I have a hard time believing Perry would stab him in the back like that. Be that as it may, Perry has till June 16 to decide on all the unsigned bills, so to whatever extent you think you can influence his opinion, now is the time to contact his office and let them know how you feel about this legislation.